Exceptional pre-construction opportunity! Stunning 3 bed, 3 bath condo with ~2000 SF designed + developed by a local luxury builder with a keen reputation for quality + craftsmanship. Conveniently located near Davis Square, parks, bike trails and bustling restaurants. Open concept living/dining room with modern fireplace. 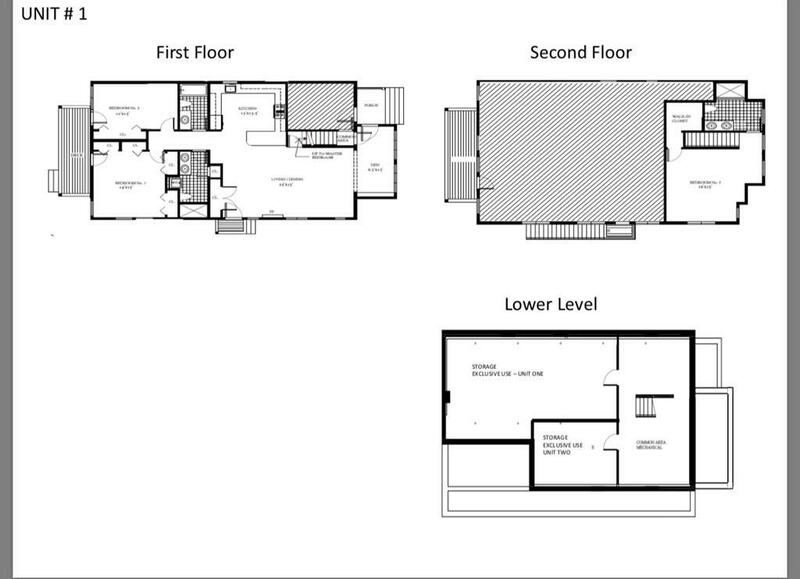 Wood floors, soaring 9+ foot ceilings + recessed lighting throughout. Chefs kitchen with island, quartz countertops + Thermador/Bosch stainless steel appliances. Master bedroom suite with walk-in closet, en suite bath: double-vanity sinks and oversized glass-enclosed shower, in-unit laundry hookup, central air, private deck, access to private yard. Two parking. Plenty of storage in basement bonus rooms. Energy efficient features: Anderson windows, tankless hot water, spray foam insulation. Reserve now to put your finishing touches on your dream home! Condo to be completed Fall 2019. Listing courtesy of Mary Lochner of Coldwell Banker Residential Brokerage - Brookline. Listing provided courtesy of Mary Lochner of Coldwell Banker Residential Brokerage - Brookline.